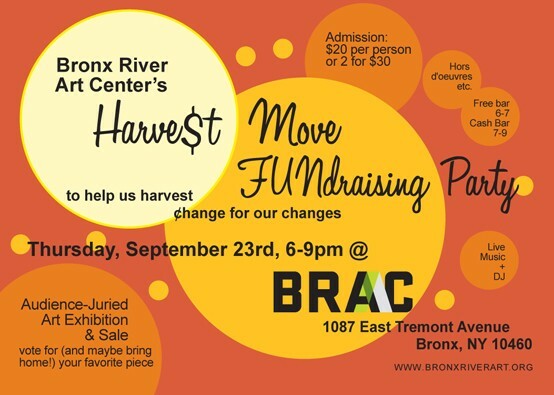 Let’s all go to the Bronx River Art Center (BRAC) this coming Thursday. They are starting a two year renovation of the building and Gail Nathan, its executive director, needs us to go and wish them good luck. The BRAC is across the street from Gustiamo’s warehouse and we work together in many projects, including GUSTiamO, where we teach disadvantaged kids from the South Bronx to eat better food and have fun with it. BRAC is an important center in our neighborhood and everybody will help. They will even serve freshly made and cooked ravioli, with Gustiamo’s tomatoes and ev olive oil. If we are able to get a 220V electric outlet, we’ll even serve Sant’Eustachio coffee. From the Pantheon in Roma to the South Bronx. Will you come?